The news about Vice President Biden's speaking out to Netanyahu about stopping the expansion of settlements against the Palestinians' will and on what should be Palestinian land, was good news. It now needs to be followed by some strict action, seeing as much support of Israel comes from the United States. But heed this: Biden has publicly announced in the past that even though not Jewish, he is a Zionist. However, what the papers haven't mentioned is that when Biden arrived, Netanyahu was on stage with offbeat Pastor John Hagee, of CUFI, a group sponsoring born-again beliefs and giving money, lots of it, to Israel. This is surprising as these born-again Christians' religious beliefs differ quite a bit with the religion of Judaism. That's a story in itself, requiring much needed publicity. A well-known Indian psychotherapist embraced Islam on Thursday. Dr. Periyadarshan, who has changed his name to Abdullah, told Arab News Friday that Islam is the only religion in the world that follows a book directly revealed from God. He said that as a student of comparative religions he believes books of other faiths have not been directly revealed to mankind from God. He said the Holy Qur’an is still in the same format and style as it was revealed to the Prophet Muhammed (pbuh) from Almighty Allah. Dr. Abdullah is a visiting professor at the University of California in Los Angeles. He also acted in the famous Tamil film “Karuthamma” about the killing of newborn baby girls in some remote villages in India. The production received national award from the Indian government. “I was well known in India for my atheist theology and later I became to realize that religion is the only way out for human beings both in this world as well as in the hereafter,” he said. Dr. Abdullah will be performing Umrah on Saturday on his first visit to the holy cities of Makkah and Madinah. M D Rasooldeen, Arab News, Riyadh. 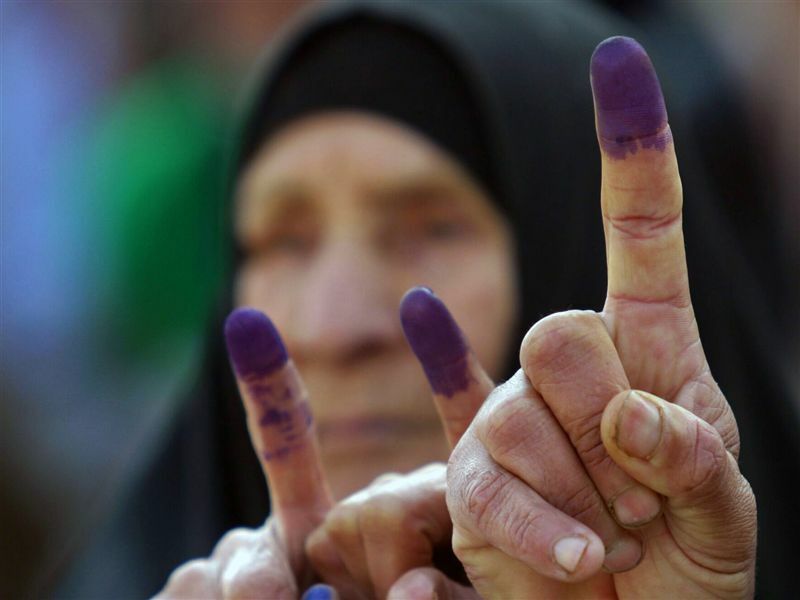 Event: On March 7th, Iraq will go to the polls to elect its second full-term government since the invasion of 2003. This is a crucial time for the future of Iraqi politics. The American-Iraqi Status of Forces Agreement and President Obama's election promises have meant all US troops were removed from Iraq's towns in June 2009. President Obama is currently committed to removing all US combat forces from the country by August this year. Finally, Article 24 of the American-Iraqi agreement goes much further, unambiguously stating that 'All US forces are to withdraw from all Iraqi territory, water and airspace no later than 31 December, 2011'. So the elections of 7th March will choose a new Iraqi government that will steer Iraq into its post-invasion future. Toby Dodge will examine how the election campaign unfolded, what the provisional results say about current and future politics and what this means both for the lives of ordinary Iraqis, the wider region and the international community's interaction with the Iraqi state. Speaker: Toby Dodge completed a PhD on the creation of the Iraqi state at the School of Oriental and African Studies He is currently a Reader in International Politics at Queen Mary, University of London and a Consulting Senior Fellow for the Middle East at the International Institute for Strategic Studies. Toby is an expert on the politics of Iraq and has published several books on this topic, the latest being Inventing Iraq: the failure of nation building and a history denied. He has carried out extensive research in Iraq both before and after regime change in 2003. Dodge has also served as an adviser to U.S. general David Petraeus in Iraq. Entry is on a first come, first served basis. Please allow at least fifteen minutes to clear security. Promoting an enlightened and positive approach to Arab-British relations in Government, Parliament, the Media, education and amongst the wider public. We are the oldest and largest organisation of its type in Europe having been set up in 1967. We strive hard to build on the historical, political and cultural links between the Arab world and Britain. Registration is not necessary for spectators. Outdoor Halal concession food would be available ALL day. Kendall Park, New Jersey 08824.